In keeping with The Masters theme this week I thought there would be no better time than now to do a review of this book. Augusta native Frank Christian comes from a long line of photographers associated with Augusta National Golf Club. His great uncle began photographing the club in 1933, his father was the first Club Photographer and Frank carried on the tradition. Christian’s library of photographs from Augusta National and the Masters are likely to be rivaled by none. With photos from the early 1930s all the way up to the modern era this book is as complete a scrapbook as can be found. 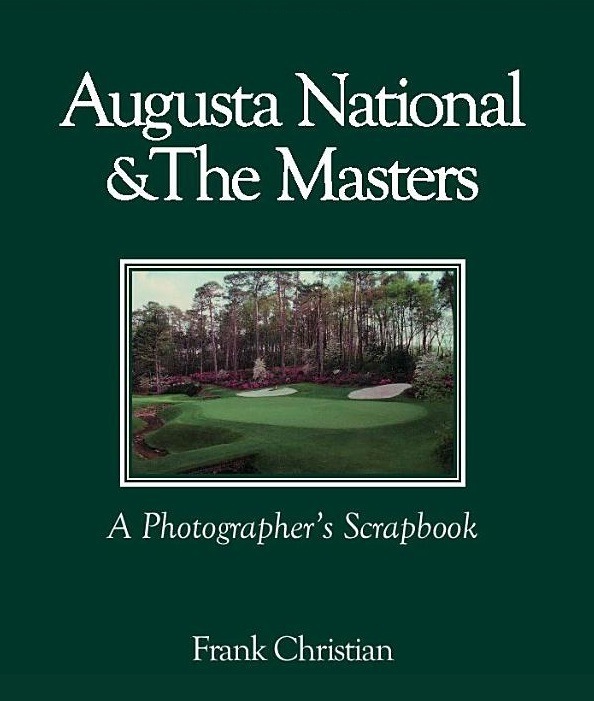 Christian has skillfully compiled a wonderful collection of photography that features the course, the tournament and all of the personalities that have made Augusta National and The Masters the icons of golf that they are. This is a great book about one of the most important clubs and tournaments in American golf, and a must have for any golf library. the year that we met because my memento is not quite date stamped. ball out of the hole. up his official photography duties at the Master’s earlier in the week. bag with his name on the front in the background. Frank’s as good of a guy as his photography.